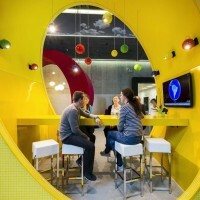 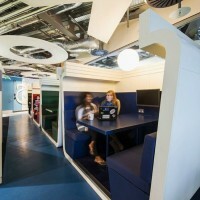 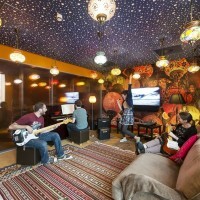 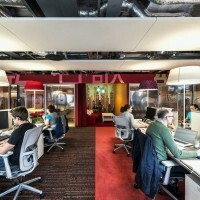 Camenzind Evolution have designed the interiors of the Google Campus in Dublin, Ireland. 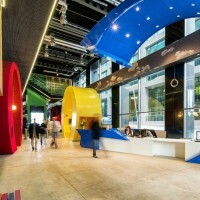 Google Ireland opens the doors to its thriving new campus: Four buildings located in the heart of Dublin’s historic docklands district! 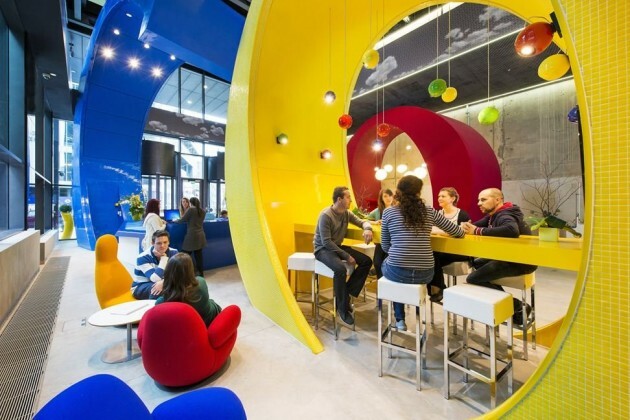 With over 47’000 m2 of unique office space, the campus represents an amazing workplace for Google’s ever growing sales, marketing, finance and engineering teams, coming from more than 65 countries and speaking over 45 languages. 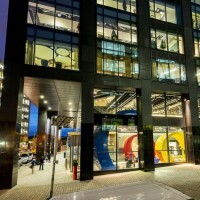 The tallest of the four campus buildings is the newly constructed 14-storey building ‘Google Docks’ which is also the tallest commercial building in Dublin. 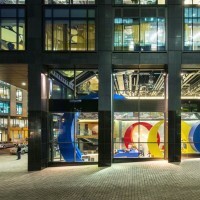 Two other buildings – ‘Gasworks House’ and ‘Gordon House’ – have been home for Google already and were completely refitted. 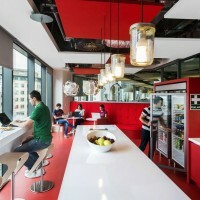 The fourth building,’One Grand Canal’-fondly referrred to as ‘1GC’ – was newly fitted out. 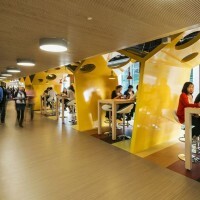 For the Masterplan the architects had to find a smart solution for the nearly impossible – to create a stimulating and interactive campus within a bustling environment in the midst of the inner city. 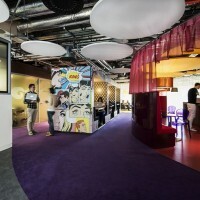 Apart from innovative office spaces, the Masterplan required the successful organisation of a multitude of additional functions, such as 5 restaurants, 42 micro kitchens and communication hubs, game rooms, fitness center, pool, wellness areas, conference, learning & development centre, tech stops, over 400 informal and formal meeting rooms and phone booths, etc. 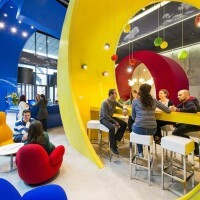 All these additional functions are part of the holistic work philosophy of Google, encouraging a balanced, healthy work environment and enabling as much interaction and communication between the Googlers as possible. 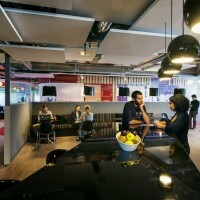 In fact, as empirical researches and studies show, interaction and communication are crucial for creativity and innovation. 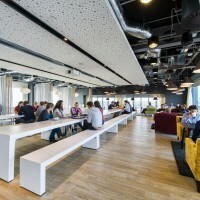 In order to achieve these important goals, the locations of all functions were very carefully balanced between the different floors and buildings. 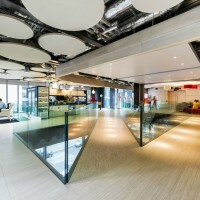 In addition, a bridge, designed by HLW with Reddy Architecture, is planned to be built to connect ‘Google Docks’, ‘Gasworks House’ and ‘Gordon House’ together, encouraging an easy flow between buildings and people. 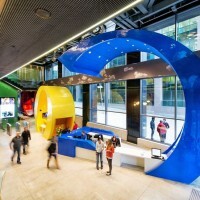 Google Docks. 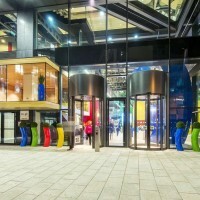 The newly constructed ‘Google Docks’ is the main campus building where each of the 14 floors represents the unique identity and strong values of Google. 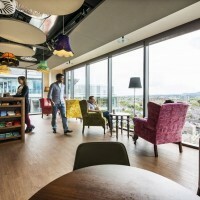 The main area of each floor is the communication hub which is integrated among various functionalities depending on each floor – from open plan and flexible working spaces, to micro kitchens and informal meeting rooms, alternative working zones, game areas, cafés, gym and even a 25m indoor swimming pool. 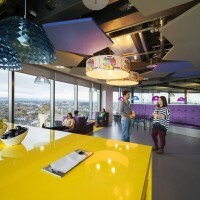 These spectacular hubs are created as unique highlights of each floor, bringing an exciting fresh quality to the working experience. 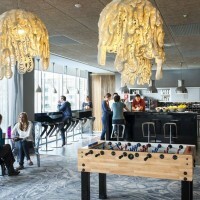 The distinctive character of each floor theme is also reflected through different materials, colours and shapes with either literal or more subconscious connection to the particular theme dedicated to the floor. 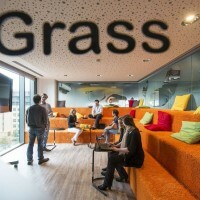 ‘Gasworks House’ has been redesigned representing EMEA’s characteristical natural and humanmade landscapes, beginning from the sky, down to mountain peaks, rural and urban worlds, forests, sands and at last water. 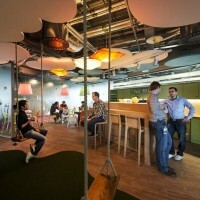 ’1GC’ played homage to the Irish culture and its many myths, legends and traditions. 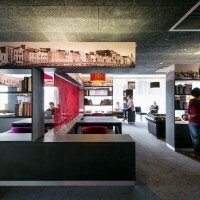 It includes a replica Irish pub and a library space based on the Long Room in Trinity College. 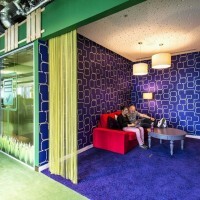 The design inspiration for ‘Gordon House’ was taken from the multicultural nature of the company, blending the colours of country flags from around the world in a virtual corridor of colour. 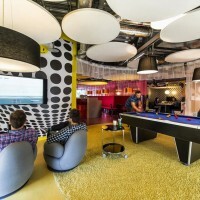 This created a well-connected and stimulating working environment embracing diversity and function as well as being unique, flexible and sustainable. 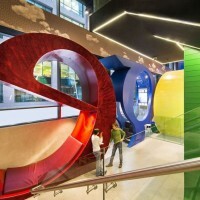 Sustainability is a key focus area for Google and indeed all Google real estate projects work to LEED accreditation. 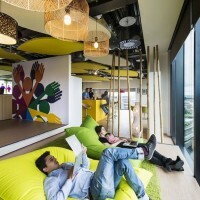 The Google Dublin Campus is currently awaiting the prestigious LEED Gold and LEED Platinum certification.